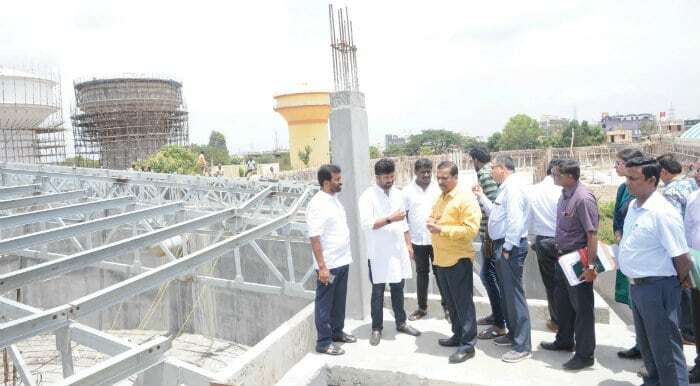 Mysuru: MP Pratap Simha inspected the under-construction water service reservoirs in Vijayanagar 2nd Stage here yesterday. The old Central Service Reservoir (CSR) at the same location was in a very bad shape necessitating the construction of new reservoirs. The three new reservoirs have capacities of 6 MG (Million Gallons), 4 MG and 2 MG with a total outlay of Rs.27.27 crore. The contract has been assigned to DRS InfraTech, Hyderabad. The reservoirs will supply drinking water to 19 Wards, 16 in Chamaraja, 2 in Chamundeshwari and one in NR Constituency. Along with the three service reservoirs, a Master Balancing Reservoir of 13 MG capacity is also under construction. Speaking on the occasion, Pratap Simha said that the new reservoirs were being constructed on top priority as the old CSR was badly damaged. He assured that the construction work would be completed by December. 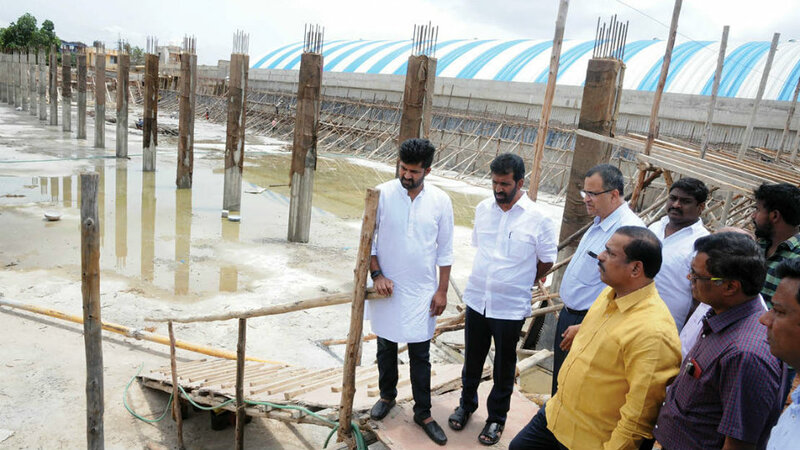 He instructed the officials of Karnataka Urban Water Supply and Drainage Board (KUWSDB) to expedite the construction work to put in service on time. Pratap Simha further said that by 2021, the population of city may cross 13 lakh needing 274 MLD (Million Litres per Day) of water and added that the works for water purification and distribution were being undertaken under the Central AMRUT (Atal Mission for Rejuvenation and Urban Transformation) scheme which also include new pump house and panels at Hongalli, new uninterrupted power supply line and additional underground drainage system. MLA L. Nagendra, KUWSDB Executive Engineer Prasanna Murthy, BJP leader Rajendra and others were present.